I became a coffee addict when my second son was born… I also probably bored you all with images of coffees throughout my mat leave on instagram too! COFFEE-it can have all the space in the world but a lot of the ‘chains’ have space but awful coffee. FRIENDLINESS-for me when I potentially walk in with a buggy and another child in tow, even to a small establishment being instantly put at ease is a win for me. CHANGING FACILITIES-this can be a bit of an ask on some of the smaller independent coffee spots and it’s certainly not a deal breaker but it’s definitely an added bonus. Two Pups, Francis St-Fab coffee and cakes, a tiny little place but instantly given a warm welcome when I arrived in with two in tow! Network, Aungier St-A very cool little spot with great coffee and drool worthy sambos, despite its size again you are put at ease with friendly staff. Two Boys Brew, Phibsbourgh-This was a bit of a trek for us but visited on a day out and it was well worth it, a lovely space, great coffee and really helpful staff. Fia, Rathgar Road-A divine little spot that I almost like to keep for solo visits and a blissful brunch but couldn’t be nicer when you visit with baby in tow. 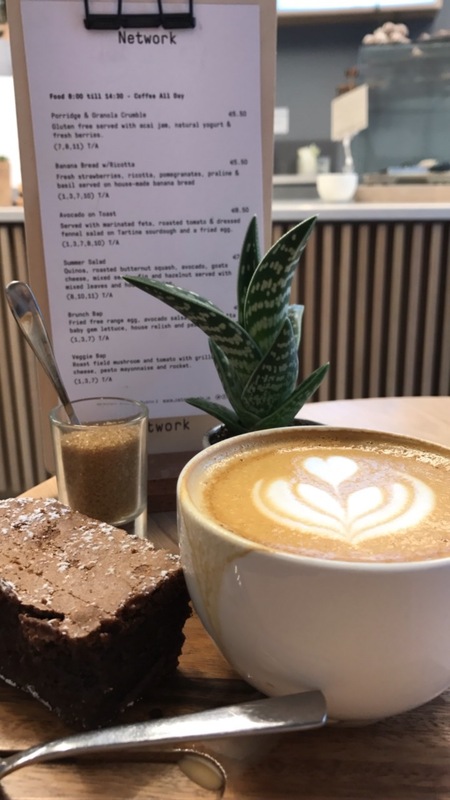 Foam, Terenure-A move away from the usual 3fe coffee here but still a delicious cuppa and on a busy morning we were welcomed and accommodated for a quick cup of coffee which was greatly welcomed. 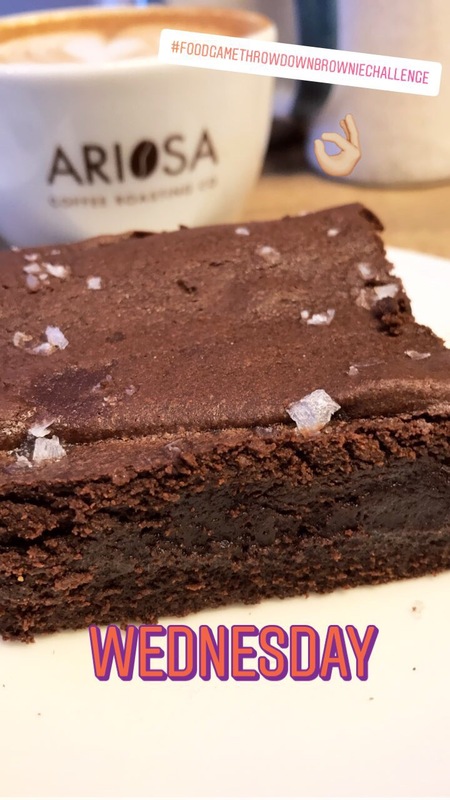 Foodgame, Ringsend-Another spot that’s small and welcoming and their brownies and mars bar krispies are the best around so this is definitely the place to come for a sugar hit with delicious Ariosa coffee too. Pot Bellied Pig, Rathmines-A very chic little spot but they didn’t stop the guy reading my mind and bringing me a freshly baked brownie with a large cappuccino on a day it was badly needed so this place had to make the list! Mayfield, Terenure-A local spot with a very inclusive feel, they are used to customers with kids and you feel that when you walk in. A scone and a milky coffee here will set you up for the day! Square One, Sandyford-I found this spot as it’s right behind my nearest Aldi and I’m so glad a I did, I soon became a regular. The space is great, big and bright. Handy changing facilities and really good coffee that comes in 2 sizes-large for me most days! The staff are really friendly too which makes it a winner all round. Marks & Spencer-this is usually a convenience factor but I’m not going to like their Almond Crossaints and a Flat White is hard to beat! Cafe Nero-of the chain coffee shops I probably find this the best one, the coffee is the best of a bad lot and pastries always look appetising. It feels like a comfier, cleaner space than most. Butlers Cafe-I genuinely like their coffee, it’s on the stronger side and who can resist the free chocolate too. I hope some of these make your list for the week ahead as I know a cofeee or two is what gets me through… Happy Monday! You will have to try Happy Out…clontarfs newest coffee stop with outdoor seating only on bull island..just over the wooden bridge!